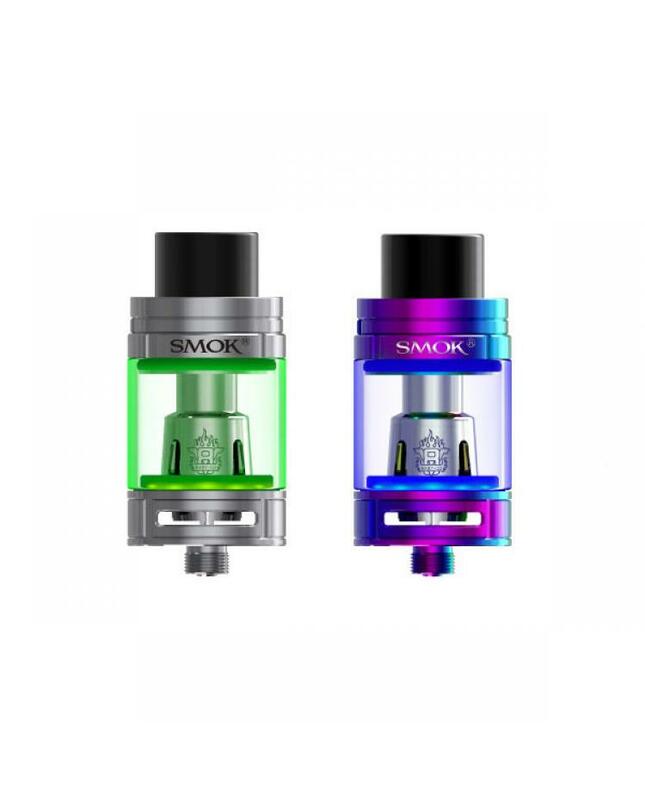 Newest smok beast tank TFV8 big baby light, which is an advanced version of TFV8 big baby, made of stainless steel and pyrex glass material, diameter 24.5mm, can hold 5ml e juice, the TPD version can only 2ml e juice. 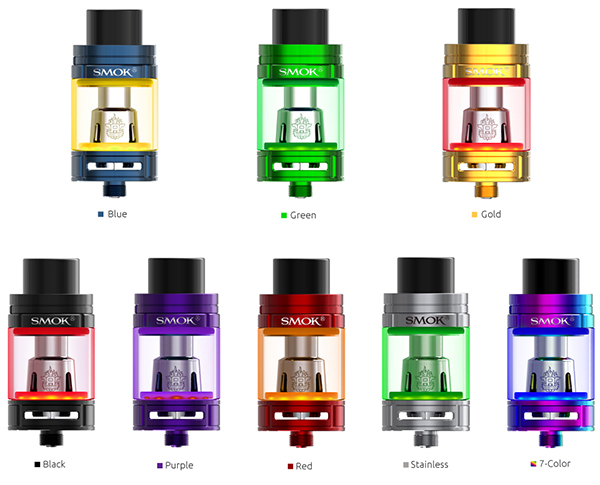 the new smoktech sub ohm tank has LED lights at the base when you fire the device to vape, the LED will light up and change its color along with the color of sealing ring. 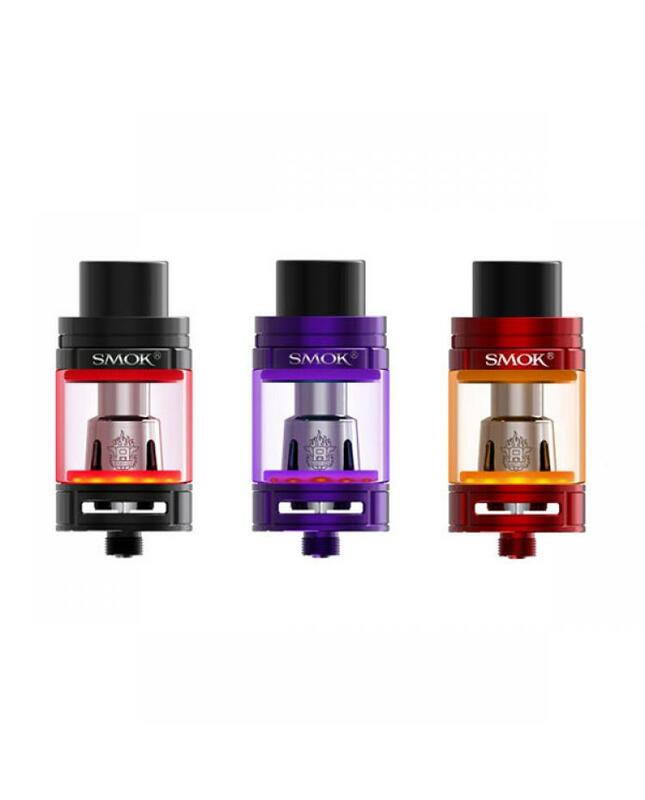 the tank comes with a Delrin drip tip, will bring increased airflow and provide with powerful draw effects. the TFV8 big baby light with two large adjustable air slots, vapers can adjust the airflow to your preference easily. top refill system makes filling as easy as it gets, leak-proof e juice slot can significantly solve leaking problem. 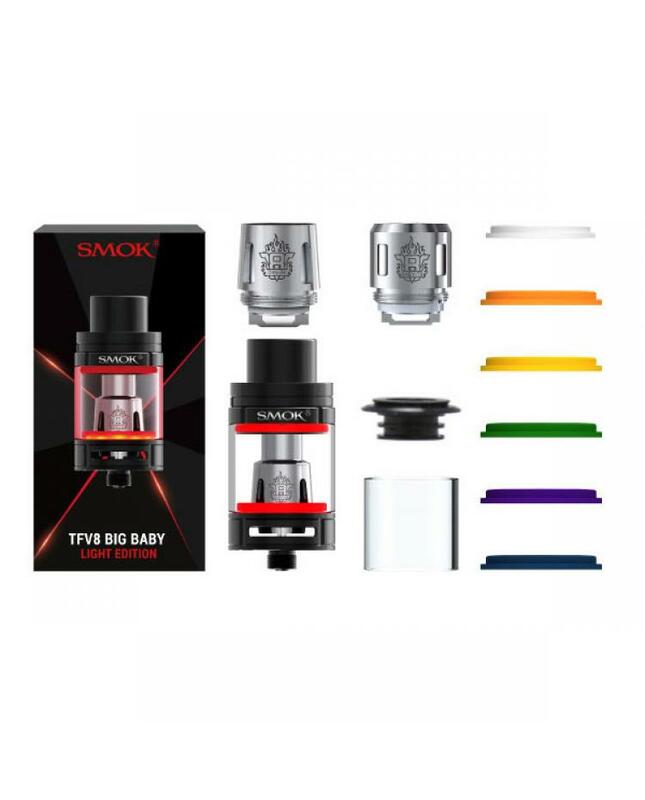 the TFV8 big baby light tank perfectly matches with V8 baby-x4, v8 baby-T6, v8 baby RBA, v8 baby-q2 and v8 baby-t8 coil heads, will produce a large cloud of vapor and flavor.